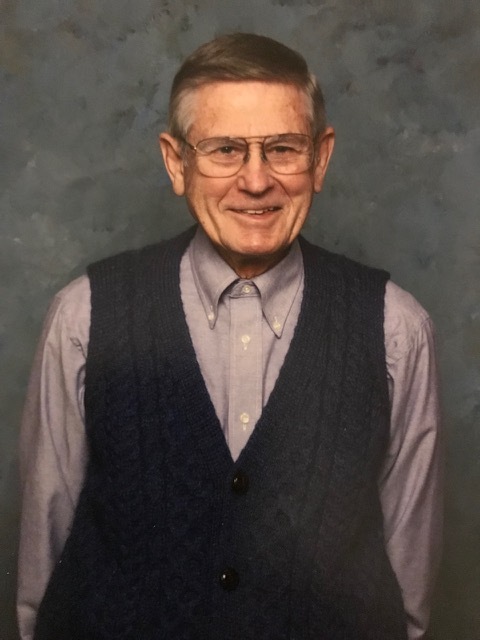 SCOTIA – John M. Detwyler, Jr. of Scotia, NY embarked on his next journey on Thanksgiving evening, November 22, 2018. John was born on March 16, 1929 in Charlestown, West Virginia, to John M. and Helen Detwyler. His father’s business took John and his sister Anne Detwyler Knowles (deceased) all over the country and to Shanghai, China. John graduated from the University of Washington with a BS in Mechanical Engineering in 1951 and was hired by General Electric. In 1952 he joined GE’s Knolls Atomic Power Lab (KAPL) in Niskayuna and in 1953 received a Doctorate in Pile Engineering at Oak Ridge School of Reactor Technology. He became a manager at KAPL in 1965 and received awards given by the company for the patterns he produced and for his community service work. John lived in Burnt Hills, NY and Schenectady, N.Y. during his 39 years of employment at KAPL. An enthusiastic advocate for peace and justice, he retired in 1990 and with Sandra advocated for an end to U.S. support of the counter revolutionaries during the civil war in Nicaragua. He and Sandra moved to Nicaragua where John worked in community development, designing appropriate technology for use in the country’s rural areas. The couple also established a sister church relationship between the Gethsemane Baptist Church of Los Gutierrez Norte, Nicaragua and Emmanuel Baptist Church (now Emmanuel Friedens) in Schenectady. Returning to the U.S., John was hired in 1994 by the Interreligious Council for Refugee Resettlement, an affiliate of Church World Service, as the refugee coordinator for the Capital Region of New York State. In this capacity he resettled 500 refugees from all over the world connecting them with churches who assisted in the resettlement process and with other local resources. He dedicated many volunteer hours over the years to Emmanuel Friedens Church, to Schenectady Community Ministries (SICM), as well as affordable housing projects and advocacy for the less fortunate. John was an accomplished and compassionate man who touched many lives as a father, grandfather, husband, volunteer and friend. He loved to sail, fish, garden and swing dance joyfully. He had a quiet sense of humor that was with him until the end. John is survived by his wife of 29 years Sandra George of Scotia, NY. He is also survived by his ex-wife Elizabeth Jensen Detwyler of Niskayuna; his son Eric Detwyler of Schenectady, NY and daughter Susan Detwyler Weddle (Roger) of Burnt Hills, NY; his stepsons Kenneth George (Lillian Johnson) of Scotia, NY, Kevin George (Christa Scott-Reed), of New York City; his stepdaughter Jennifer Minker (Jay) of Downingtown, PA.; his grandchildren Todd (Connie), Casie, Paige and Mark Weddle, Nathaniel, Owen and Ethan George, and Jordan and Hannah Minker. Relatives and friends are invited to attend a memorial service in celebration of his life at Emmanuel Friedens Church, 218 Nott Terrace, Schenectady, NY at 3 pm on Saturday, Dec. 8, 2018. To leave a message of condolence for the family, please visit www.HansFuneralHome.com. Offer Condolence for the family of John M. Detwyler, Jr.
I’m so sorry for your loss. Your father was a very special man, a good father and a good friend to our family. Grieving for your lost loved one is tough. It can be softened somewhat by the good wishes and remembrances of family and friends. I met John in 1959 when we both worked for Bill Knox on the core design of the D1G reactor. Our paths separated 2 years later when I joined the S5G Project. We met again when I was assigned to work under John in the S8G Project. I worked for him for two years when there was another switch in jobs for me. John sure was a smart technical engineer and manager. He knew his business thoroughly and treated everyone in a friendly, respectful manner. He had great energy which somehow got passed on to the people under him. I have always had great respect for him. After retirement commenced for both of us, I used to bump into John occasionally at the Parkside YMCA. John was always cordial. May he rest in peace. Sandy, I was so sorry to see the news of John’s passing. I know my father held him in high regard for all your work with refugees and mission work. I enjoyed hearing your presentations and collaborative work with Emmanuel Baptist church in Albany. He was a blessing to many and will be sorely missed. I will keep you and his family close to my heart while you celebrate his life and legacy this coming weekend and the days ahead.